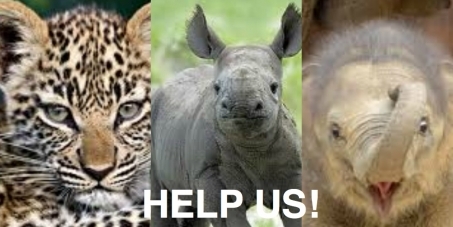 The World needs to wake up to the horrors of the canned and trophy hunting industry in Africa. Canned hunting is the practice of killing tamed wild animals in fenced areas on canned hunting farms for sport. Cub petting also supports this industry. Extortionate fees are charged to volunteers, who pay to work at lion farms in the naive belief that they are assisting conservation. Wealthy European trophy hunters are travelling to Africa to kill these animals so that the animals can be mounted on a wall or made into a rug. Local communities in Africa benefit virtually nothing from this industry yet their wildlife is being decimated. The European Union banned the import of trophies from British Colombian grizzly bears amidst fears for the survival of the species. With your help we can cut off ties to Europe from the lucrative canned hunting industry and horrendous trophy hunting leisure activity and help save African wildlife. Chris Mercer of the Campaign Against Canned Hunting blows the top off the canned hunting industry in South Africa; you won't believe what you hear! UrbanJunglesRadio. PLEASE listen to Chris on YouTube, just copy and paste the link below to your browser. Western trophy hunting is un-African, and is an outdated notion from the colonial past. Africa is left poorer because of these foreign demands''. Garreth Patterson. "The facts are these lions are declining at such a pace. We will have nothing left in a few years," conservation group Walking for Lions (WFL) founder Marnus Roodbol. Austria 44, Belgium 23, Bulgaria 17, Croatia 6, Cyprus 5, Czech Republic 105, Denmark 55, Estonia 5, Finland 57, France 95, Germany 99, Greece Nil, Hungary 47, Ireland Nil, Italy 29, Latvia Nil, Lithuania 10, Luxembourg Nil, Malta Nil, Netherlands 7, Poland 62, Portugal 18, Romania 8, Slovakia 36, Slovenia 4, Spain 443, Sweden 11, UK 20.